An exotic market like Ecuador holds overlooked opportunities requiring an expert like Quito-based investment bank Analytica to unlock. It confidently weathered the 1998-2000 banking crisis and is now active beyond the Andean country’s borders, advising on M&A, providing fund management, debt restructuring, project finance and pioneering bond issuance. 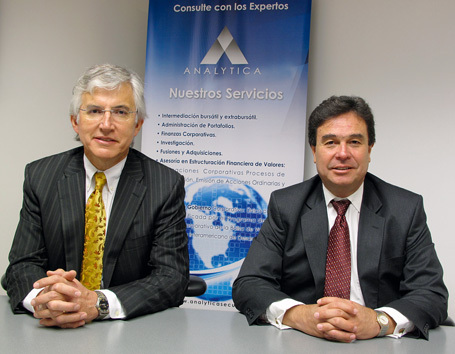 Serving growing Latin American companies below the radar screen of the world’s banking behemoths, Analytica provides clients with the taylor-made expertise to grow, irrespective of the pitfalls of emerging markets. Unparalleled research and its managers’ hands-on entrepreneurial experience help explain its continued success.